If there’s one issue that is the bane of the life of hydraulics users, it’s connectivity. All our subsystems may be in perfect working order, but if we haven’t been supplied with the right hoses or couplings, it’s all to no avail – all you have is a hydraulic jigsaw puzzle, with one of the pieces the wrong shape! Problems like this can really damage the productivity of industries that use hydraulic systems. If you want your hoses and couplings specified right, first time, you really need to consult the experts, Gerrard Hydraulics. Gerrard Hydraulics is a distributor for RYCO, the world’s best-known hose and fittings manufacturer, and we’ve been providing 5-star service to Western Australia’s agricultural, mining and offshore industries since 1978, and have always led the field in technical and product knowledge. We’ve seen practically everything that can go wrong with hydraulic systems, so we can usually diagnose a problem and propose a remedy on the strength of a brief description of the symptoms. 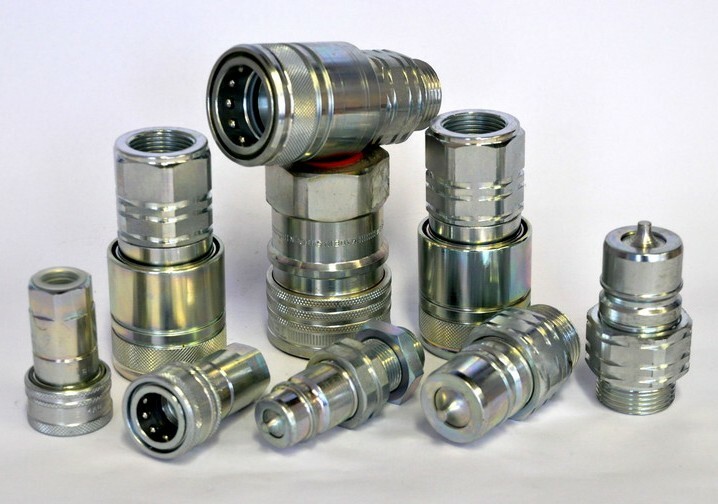 Adaptors for all the standards in common use – BSP, JIC, Uno, ORFS, Metric and NPT. All thread diameters from 1/8 inch to 2 inch. Tube bends – 22.5°, 30°, 45° and 45° heavy – all commonly-used diameters from ¼ inch to 2 inch. Swivel joints and seal kits. Crimp fittings – spiral and Wire hose. Spiral Guard to protect your hoses from abrasive damage. Thread and Connector Pressures Guide. Thread and Connector Identification Guide. Get your hydraulics assembly right first time by consulting Western Australia’s hydraulics experts, Gerrard Hydraulics.